Hello Kitty Fizzy Pop Anyone? Saw this at our local Asian Market. Didn’t buy it, but the small can, was too cute!! My hubby and I were taking a walk in Port Credit, this past weekend, and they had their annual Buskerfest. Since we got there at the end of the fest, we decided to check out the food stalls/trucks, that were in Memorial Park. We weren’t that hungry, but when we came across the cute signage for Beaver Cheeks, I was intrigued to say the least. From what I could see of them, on the cooking rack, the lady had them on in the back – they looked like round pillows of lovely dough. The guy manning the till, told us that they were a recipe of her Grandmother’s, that made them light and airy – rather then doughy like most donut holes. At this point I was hooked, and order 5 for $3.50, my hubby and I to share. 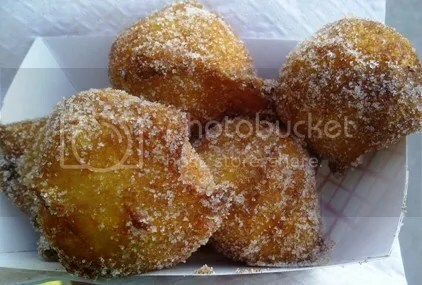 After having them warmed up in a small fryer, and rolled in cinnamon sugar, they passed them over to us for our enjoyment!! They didn’t disappoint either. They were nummy, sweet pillows of dough, which are a bad combination – as I could’ve eaten another order…or two LOL I was told that they only do festivals, the Buskerfest being their first, to feel out if people would enjoy their product. So, if you’re ever in Port Credit and there’s a festival going on in Memorial Park, take a detour and see if they’re there. You won’t be disappointed!! 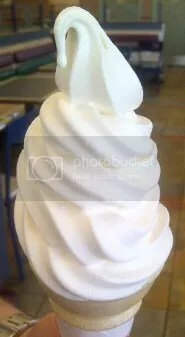 Nothing like a $1 ice cream cone, to end off an afternoon, at the zoo…omnomnom!! I had been craving some alfredo sauce, and when I came across Classico’s Roasted Red Pepper Alfredo Sauce, I had to try it out. I know you can make homemade alfredo, but I didn’t really feel like going that route this week. I did add zucchini, sliced mushrooms, yellow onion, roasted garlic cloves (which I had roasted last week) and lots of ground black pepper – to give it some oomph. 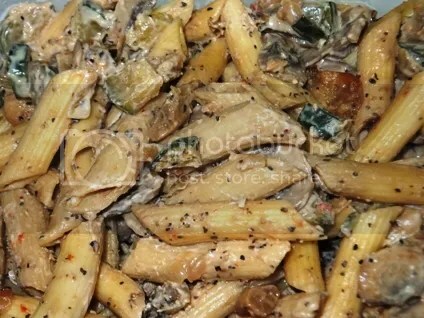 All mixed together with some Penne Ziti Rigate pasta. I have to say, this alfredo sauce will be my go to, whenever I crave it – as it was really flavourful and just plain hit the spot…omnomnom!! Tried this for the first time today…thanks for the $1 off coupon Starbucks!! 😀 Aside from the, super high sugar content, it was nummy!! 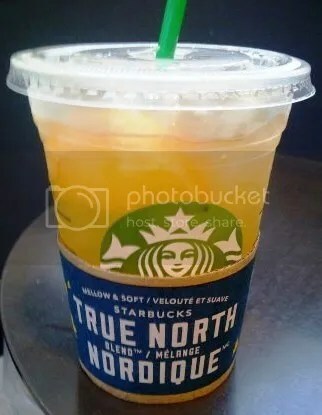 The tart Valencia orange flavour, definitely refreshes. I had been hesitant about trying it, because of the green coffee bean extract. But after looking into it, it’s only 85mg of caffeine, so we gave it a go. Will definitely try another flavour, the next time we’re looking, for a low caffeine option. 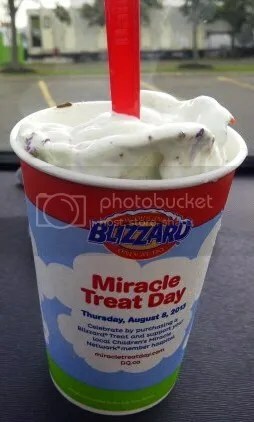 Dairy Queen Miracle Treat Day!! Mmm…omnomnom!! Chicken and dumplings…one of our uber favourite comfort foods. Which is why I don’t make it too often…especially because it’s so high in sodium. The recipe calls for Cream of Chicken soup, but I opted to use Campbell’s Light Cream of Mushroom soup instead, and it’s still pretty high in sodium. 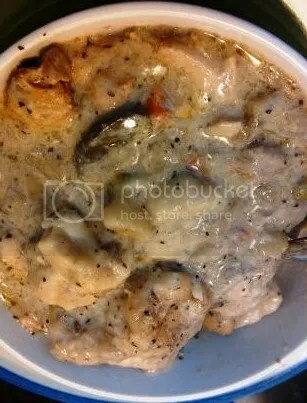 So, you could only imagine how bad it is with the Cream of Chicken, the recipe calls for. The Pillsbury Country Biscuits, called for in the recipe, doesn’t help the sodium tally either. Whenever I’ve made it on the stove, I’ve been able to make a broth and biscuits from scratch, which have helped in keeping the sodium lower. As of yet though, I haven’t found a crockpot recipe that doesn’t use canned soup or tube biscuits. If any of you have one, I’d love to hear from you though! !